It's been six months since a Billy Joel concert marked the official reopening of the renovated Nassau Coliseum, which got not only a $165 million face-lift, but a new name as well: NYCB Live’s Nassau Veterans Memorial Coliseum. 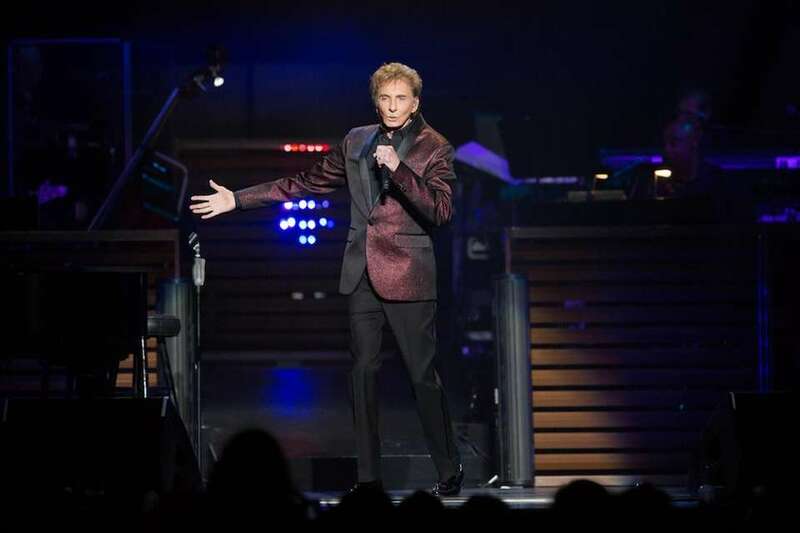 Joel's April 5, 2017, show, his 33rd concert in the arena, marked the first of many memorable events held so far at the revamped Coliseum. Take a look back at its greatest hits so far, with some images and information provided by NYCB Live. It couldn't have been more fitting that Billy Joel reopened the Nassau Coliseum to a sold-out crowd on April 5, 2017, considering it was the first arena he ever played, 40 years earlier. Over the course of nearly three hours, the Piano Man rolled through songs he rarely plays anywhere else -- like "The Downeaster 'Alexa,' " about the plight of Long Island's baymen. The fact that his surprise guests boasted LI roots was the icing on the cake: Long Beach's Joan Jett came on to do "I Hate Myself for Loving You" and "I Love Rock 'n' Roll," and Stony Brook's Kevin James and his "King of Queens" TV "wife," Leah Remini, did an interpretive dance to "She's Got a Way." Metallica's sold-out show on May 17, 2017, not only marked the band's only arena stop on their summer tour, but it was the first to really rock the new Coliseum hard. "Strong Island, how do you feel?" singer-guitarist James Hetfield asked the crowd after an opening combination of "Hardwired" and "Atlas Rise" from the band's recent "Hardwired . . . to Self Destruct" album. "There is a little bit of history here," he said of LI. "We've been here a lot." 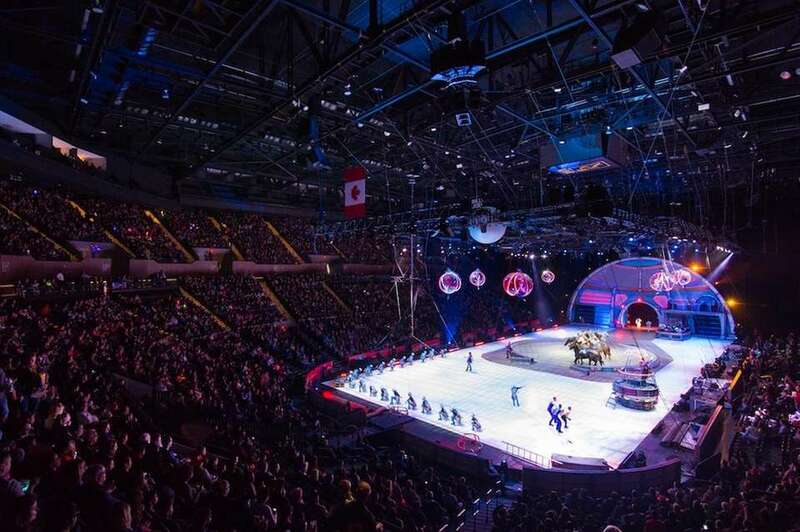 It was bittersweet for "The Greatest Show on Earth" to officially close at Nassau Coliseum after 146 years following a trio of finale performances on May 21, 2017. The grand finale show ended with a standing ovation as ringmaster Johnathan Lee Iverson brought virtually the entire Ringling troupe onto the floor: nearly 200 human and animal performers including clowns, aerialists, Cossack riders, lions, tigers and more. Long Island's biggest pop culture event, Eternal Con, moved from the Cradle of Aviation to the renovated Coliseum for its fifth anniversary, July 1-2, 2017. 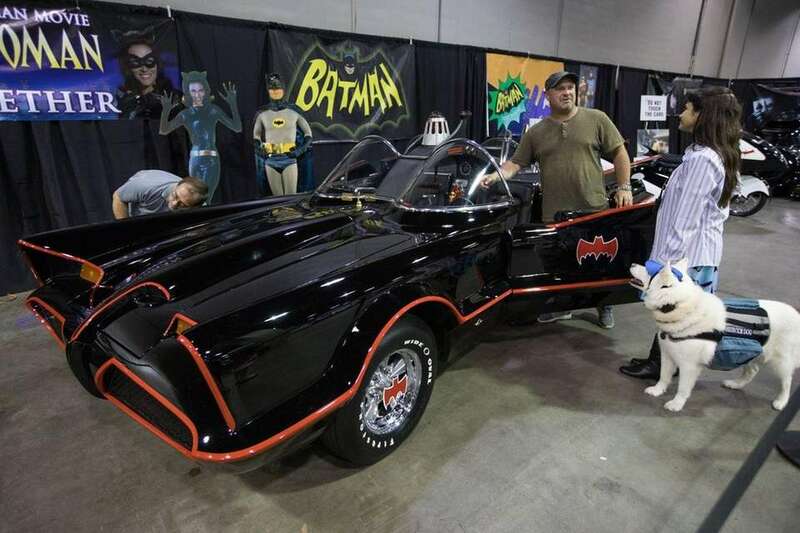 An estimated 10,000 fans descended for the annual celebration of comic books, fantasy and sci-fi. The weekend's biggest draw of all? The original Batmobile driven by Adam West. Boxing made its return to Long Island for the first match here in 31 years, on July 15, 2017, at the Nassau Coliseum in front of nearly 7,500 fans. Two Long Islanders stepped into the ring that night, though in different matches: Adam Kownacki, who lives on Long Island and trains in Bellmore, managed a fourth-round TKO of fellow Polish heavyweight Artur Szpilka, and Long Beach light heavyweight Seanie Monaghan was stopped in the second round by Staten Islander Marcus Browne. Former UFC middleweight champion Chris Weidman, who hails from Baldwin, survived a first-round knockdown by Kelvin Gastelum, coming back to defeat him by submission in the third round of the main event on July 22, 2017. The night marked the first-ever Ultimate Fighting Championship matches not only at the Coliseum, but on all of Long Island. The Islanders returned home to the Nassau Coliseum (before a sold-out crowd of nearly 14,000, no less), beating the Flyers in overtime during their preseason game on Sept. 17, 2017. John Tavares, who scored to overtake them 3-2, described the atmosphere as "pretty close to what we had in the playoffs. ... It was through the roof in warm-ups. The 'Let's go, Islanders' and 'Yes Yes Yes' chants were prominent. This fan base has a tremendous identity and we want to reward that." 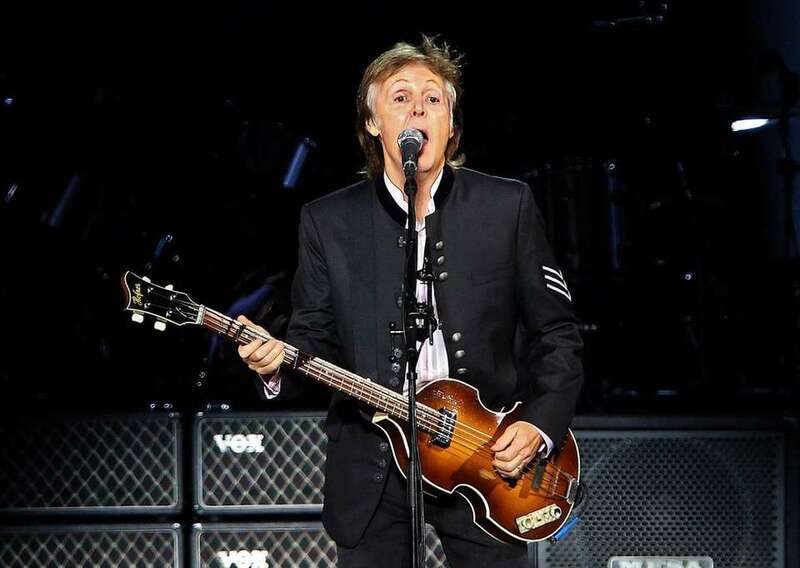 Paul McCartney packed the best of nearly six decades of his legendary career into his "One on One" tour stop at Nassau Coliseum on Sept. 26, 2017, in which Billy Joel even joined him for part of the encore. For McCartney's first LI show in 15 years, the former Beatle, 75, amazingly rolled through almost three hours of memories with no break. 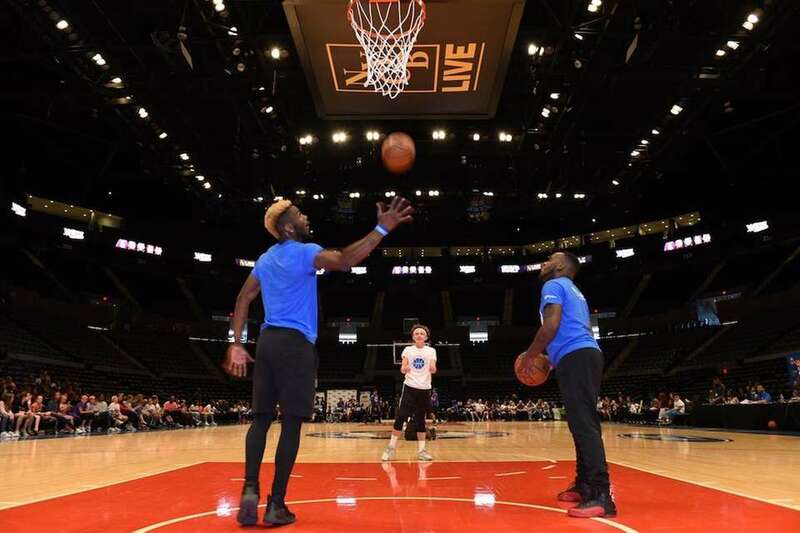 The Long Island Nets hosted a free inaugural Tip-Off Party on Oct. 1, 2017, to celebrate professional basketball's return to the Coliseum after a half-century long absence, ahead of the 2017-18 season. Billy Joel vs. Metallica: Who was the bigger Coliseum draw?In the first four months of performances at the refurbished Coliseum, Metallica edged out Billy Nassau Coliseum's memorable concertsFrom Billy Joel and Elvis Presley on through Britney Spears and Miley Cyrus, take a look back at some notable Nassau Coliseum concerts. Upcoming Nassau Coliseum events to check outFrom concerts to food festivals, see the upcoming events set for NYCB Live’s Nassau Coliseum in Uniondale. Lionel Richie, more LI, NYC concerts to seeConcert dollars are precious, so it's important to plan well and plan ahead. 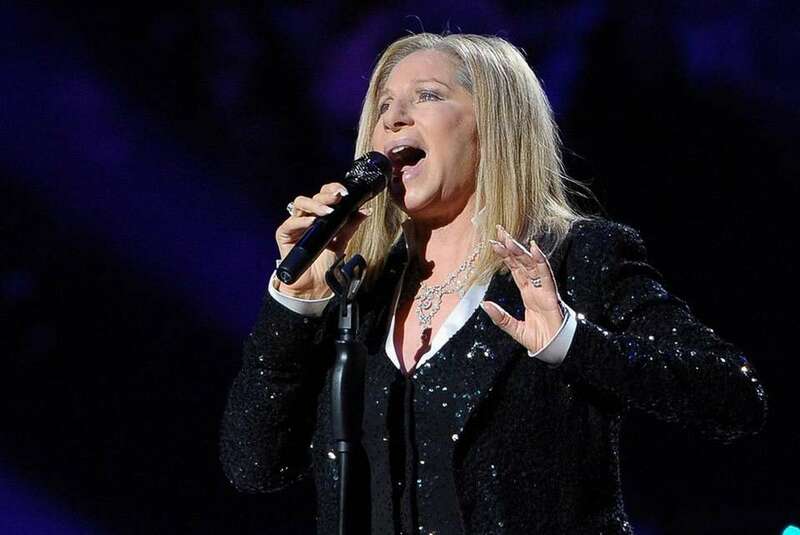 Here are the must-see concerts hitting Long Island and NYC soon.